Seeing brother against brother is never a pretty thing, be it the Double Dragon boys fighting over a less than fair maiden, or Mario and Luigi scoping the town for some Shroom. I've always known that Luigi was the better of the Mario brothers; after all he is younger and taller. Proof has finally been found in this new footage for New Super Luigi U that compares the Plumbers Two and shows how Luigi's unique abilities affect the game. Luigi U is due out on June 20th as DLC for $20, but will also be coming to retail as a standalone title on August 25th for $29.99. 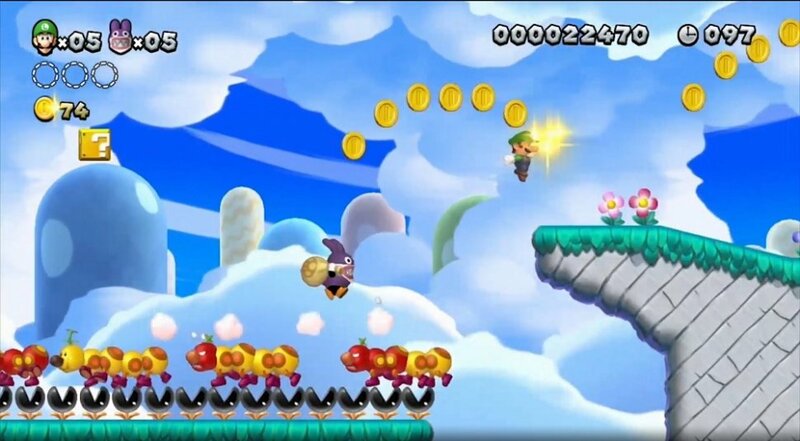 The game has the same 5 player co-op as New Super Mario Bros U, but with the 82 levels being tweaked to highlight Luigi's additional jumping and sliding prowess. Page created in 1.1569 seconds.